Have microgreens showing up at the store in an hour, just lowered the temp remotely and double checked my fin settings. Loved my CoolBot, but the CoolBot Pro is Amazing, Phone App is so intuitive and so affordable. Thank you for your inquiry on the CoolBot Walk-In Cooler Jim. Hello Cosmus and thank you. 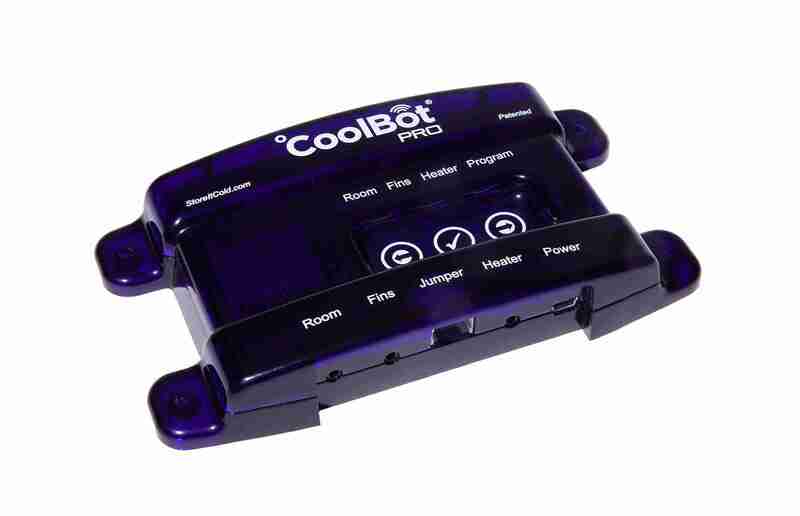 The CoolBot Pro can be purchased directly on our website and we currently ship to over 70 countries. I have messaged you directly with additional information and ideas on your cold storage needs and look forward to hearing from you. Thank you for your inquiry and here to help. For a 10 x 10, either an 18K or 24.5 K BTU LG would be our recommendation with indoor / outdoor configuration and desired temp being the variables in the final decision. Will reach out directly and hope to hear from you and be of service. Hi I have a 2 door glass freezer that i want to convert to a fridge. the only thing is i would rater not cut a hole for the aircondioner in the unit can you see another way of doing this??? Unfortunately, we do need to make an opening for the AC, but this can be in several locations on the cooler. We can help engineer and support with ideas. Will email you directly with a few questions and let’s see how we can make this happen for you. Will a motel version ac heat pump 15000 btu unit work for a walk in cooler with a cool bot thermastate applied. Trying to cool about 300sq ft.
We’ll reach out directly with some information and here to help on the AC front. Very interested in product. Questions are what size btu air conditioner would I need to cool a small keg box (4x4x5) the box is big enough for three half barrels of beer. Sending you some information directly, but assuming mid 30s in your cold box and R25 insulation or better; 10K BTU AC would do. Will email an AC compatibility list and (How To) guide as well. Thank you for reaching out Phil and Cheers. Probably an easy question, but I’m guessing the wifi could be connected to our existing network, how hard is that to setup with access passwords, ssid, and such? Yes indeed and quite user friendly through the App set up. Our Customer Engineers are also available for support as well. We’ll message you directly with a bit more information and thank you. Can the Coolbot pro still be used if wifi is not currently available. Do not have wifi in location but will be available in the location later on. 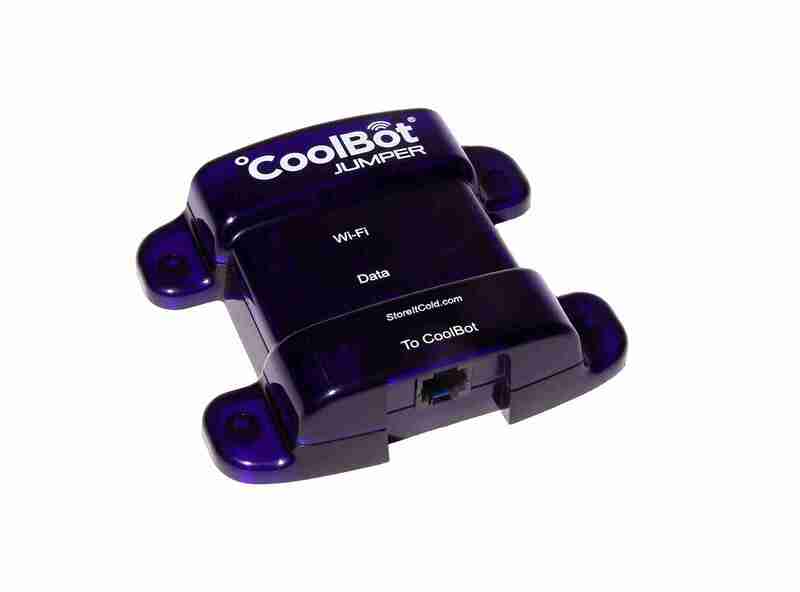 CoolBot Pro can be used in direct mode until Wi-Fi is available. Great inquiry and thank you for reaching out. At your service anytime and my email is below. Please send additional information on a typical setup. Will do Jack and thank you. Will message you directly and yes the Window AC will work well with an insulated room. We recommend the LG and the 24.5 BTU model will provide plenty of power for you. Will send some helpful tips for floral DIY Cooler builds. Thank you Donald and hope to be of service. Yes indeed and I am emailing you a list of compatible Mini Splits now. Also available on our website in the “Build It” section. Thank you for your inquiry Jorge. Hello , I have made a walk in cool inside my shop , the cooler is 8’x7′, 7′ high walls . It is in the corner of my shop, my shop measures 28′ x 36′ ’14’ ceiling . The problem is the outside of the shop is finished siding already . Could I use a wall mount A/C and have it vented into the shop area, or should I cut out the back side of the cooler and have it vented outside ? Thank you so much for your inquiry and great question. AC does not have to be vented to the exterior, but can be if a space saver or contributes from a design perspective. Venting to the shop area is certainly a viable option. I will message you directly and see if we can work through it. Send me a info. I need to pre-cool lemon to 105-36 F degree, then to be freeze it. 4000 kg. Eager to be of service and while the CoolBot system cannot freeze, we are excited to be of service. Are you interested in a DIY Cooler or a Turnkey solution. We will reach out directly as well and look forward to being part of the project. What is an easy way to keep my CoolBot cooler from freezing when the outside temps go down below freezing? Any suggestions? We have a few workarounds for cold weather and will send directly to you. Our customer service team is always available to chat as well at 888-871-5723. Have emailed you directly with information on the build itself, (How To Guide) etc. We do not recommend technicians in most cases, our coolers are designed to be DIY for the most part and components can be found at hardware and home improvement stores. Insulation is readily available at such locations. Hello! i want to build a keg and cold crash room for my kegs (15) and 60 gallon fermenter (3) was thinking of a 8×10″ What AC unit do you recommend with the coolbot, i was planning on getting a minisplit so i have low energy consumption and pay less electricity bills hehe, do you have some sort of diy examples on how to build the room? I have plenty of reflectix if that helps. thanks in advance! Great questions and we recommend LG as a brand and size of AC may vary on desired temperature and insulation. Will be messaging you shortly with some more information on the DIY cooler and Air Conditioners. Is the room temperature sensor waterproof? Look to cool a wine cellar and would want the probe to be inserted into a bottle of water to adjust the temperature based on the liquid temp. Hello Brett, appreciate the inquiry and a good one. Our sensors are they are rated IP68 which is only a few mins in water at a time. Will email you directly and our Customer Care Engineers are also available Monday through Friday at 888-871-5723. Thanks for reaching out and for your interest in CoolBot. As John explained our sensors exceed IP68 ratings but they are NOT meant to be permanently submerged. I can see how this approach is tempting for some users as they want to maintain the unit running only “as necessary” and the least possible time. There is a problem with this set up and the reason why you will find most of cooling applications having and “air temperature” thermostat. If you had your thermometer inside the liquid and you where loading “new inventory” that needs to be cooled down, the response on the liquid you have would be minimal compared with what really needs to happen in the room (cool your new product as fast as you can). Therefore recovery times would not be efficient and take much longer causing possible problems on product that has been recently introduced as the liquid in your sensor has already settled for hrs in the cooler and wont react as needed to the change in the environment (as opposed to the air). Having a well insulated room that is “airtight” is the best way you can ensure minimal cycling and constant temperatures in your cooler. Not was a good idea to get for the studio space we work in that we leave our larger floral arrangements in. We have a spot to put a indoor/outdoor ac unit, but was interested if you have any advise on good ac unit and if we should get the coolbot as well. We don’t need the room to feel like a cooler, but we’re in California so definitely want it to get cold during the summer. We also have cement floors if that helps. Sounds like a perfect scenario for the CoolBot and I will be emailing you some links to see Floral Coolers and Build Tips shortly. All available on our site at http://www.storeitcold.com. Sending an email shortly and hope to be a resource for you and the business.